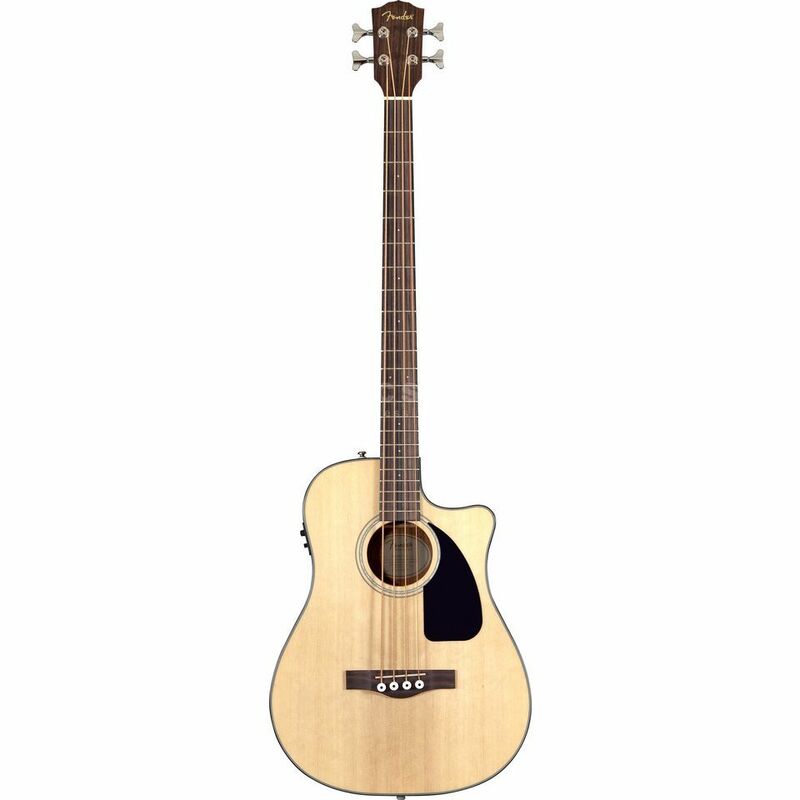 The Fender CB-100CE 4-string electro acoustic bass guitar combines pro features with stunning affordability to produce an instrument that is ideal for everybody from beginner to pro. The Fender CB-100CE features a cutaway dreadnought body with a highly resonant Spruce top and Mahogany back and sides. The top features internal scalloped X-bracing to increase its stiffness without sacrificing tone and a mother-of-pearl acrylic soundhole rosette. The body of the Fender CB-100CE acoustic bass guitar is joined by a Jazz Bass profile Mahogany neck that is topped with a 22-fret Rosewood fingerboard. The neck also features a Graph Tech NuBone nut, dual action truss rods and white dot inlays. To finish everything off, the Fender CD-100CE 4-string electro acoustic bass guitar is fitted with a Rosewood bridge with compensated Graph Tech NuBone saddle, a Fishman Isys III pickup and preamp system with built-in tuner and a set of chrome tuners. I tried this one recently and it impressed me. For the price I wasnt expecting much. This bass is loud, can easily compete with an acoustic guitar and a singer. It has a nice tone and solid hardware. The finish is beautiful. However the fingerboard did felt a little "plastic" to me, but nonetheless really solid. As soon as I plugged it in, a nasty feedback came. Must have been my position though, because when I moved to the side it went away. Really worth the price!